Here's how to reach Marvel's ears if you're craving good ole' fashioned Steve Rogers, who, you know, isn't a Nazi. 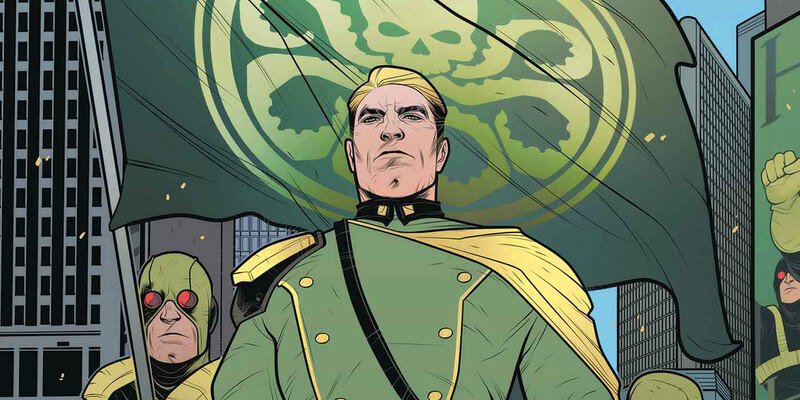 Marvel announced more than a year ago that Captain America was an undercover Hydra agent, and fans have gotten more vocal with their disgust over time. 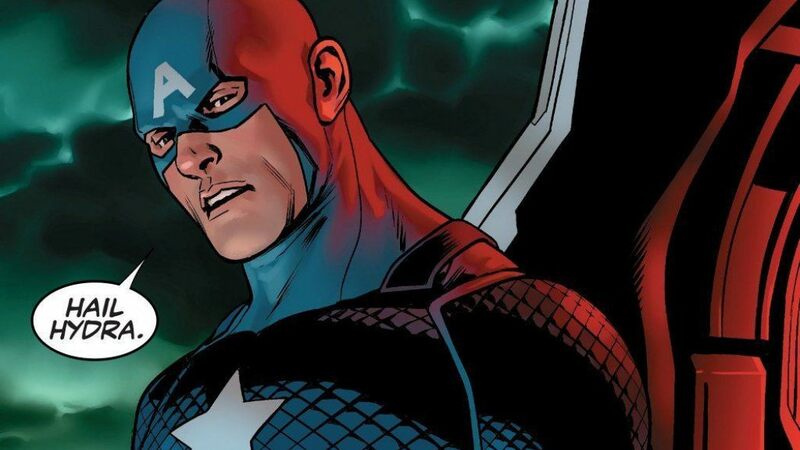 However, angry tweets didn’t do much to sway Marvel from its controversial storyline; after a year of Nick Spencer’s Hydra (de facto Nazi) sympathetic Captain America, the publisher announced its next big event after Civil War II would follow the adventures of evil Steve Rogers in Secret Empire. Joining Nazi Cap in Secret Empire is Magneto, who has apparently forgotten that his parents were killed by Nazis. Many, many fans have had enough, but they’re poised to do the exact wrong thing by boycotting Marvel’s comics. Hear me out, comic book fan to comic book fan. If you’re not down with Marvel profiting off a story that peddles Nazi-sympathetic imagery as shock-value shlock, boycotting the brand is not enough. Go to your local comic book store, tell the kind folks there that you’re not interested in Hydra Cap or Secret Empire, and then (this is the most important step), buy a different Marvel comic. She goes on to say that refusing to buy any Marvel books isn’t a great course of action. As she points out in a terrific tweet-thread, “Shops have already paid for their copies. […] By purchasing books you do believe in, shops can adjust their numbers and budgets for future orders, and carry more of what you want.” Publishers like Marvel don’t keep track of how many copies of a comic are sold at stores — the only number that keeps a title afloat (excluding digital sales) is how many copies each store buys in order to stock its shelves. Correcting this perceptional imbalance is key especially after Marvel doubled down on its bad PR. Marvel’s Sales and Marketing Vice President David Gabriel told ICv2 their “diverse” books were to blame for poor sales in 2016, which is incorrect. The line heard 'round the world. Gabriel’s lie goes like this: “We saw the sales of any character that was diverse, any character that was new, our female characters, anything that was not a core Marvel character, people were turning their nose up against.” Meanwhile, the company’s top-selling comics in 2016 include Miles Morales as Spider-Man (a black and Latino young man), Black Panther (a story about a black man from a fictional African nation, written by a black man), Poe Dameron (a minor Star Wars character portrayed in the films by Guatemalan-American actor Oscar Isaac), Civil War II (led by female hero Captain Marvel), Invincible Iron Man (the “black, female Iron Man” Riri Williams) and Champions (a group of young anti-Avengers superheroes diverse in both gender presentation and ethnicity). But of course, if “one side of the story” is that Marvel fans want a more diverse superhero lineup, doesn’t that mean the “other side of the story” prefers its heroes male, straight, and white? Based on Gabriel’s comments, Marvel is not currently in the business of paying attention to what its customers want and is instead hoping to publish shock-value titles like Nazi-Cap, which keeps Marvel Comics culturally relevant. Just remember, refusing to buy any Marvel comics, though your problem is specifically related to Nazi apologists in the company, won’t transmit the message effectively. Marvel did not respond to Inverse reaching out for comment on this story.